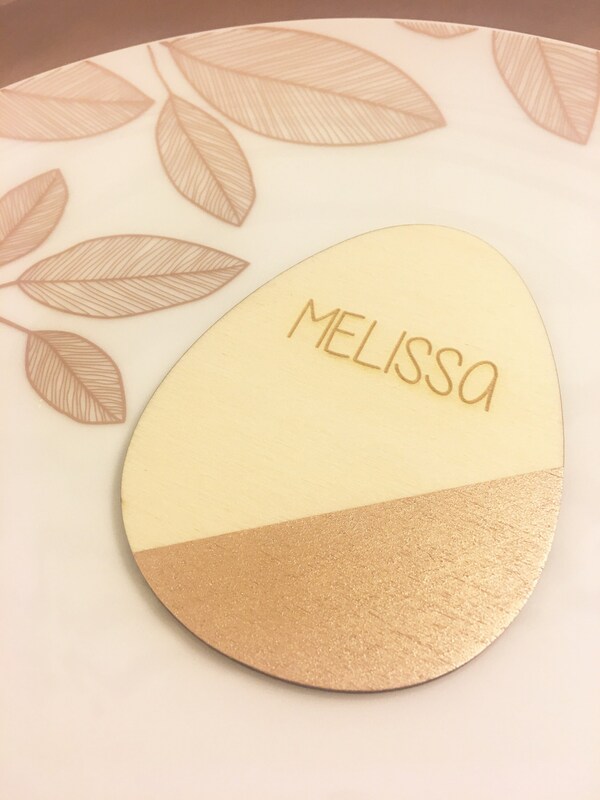 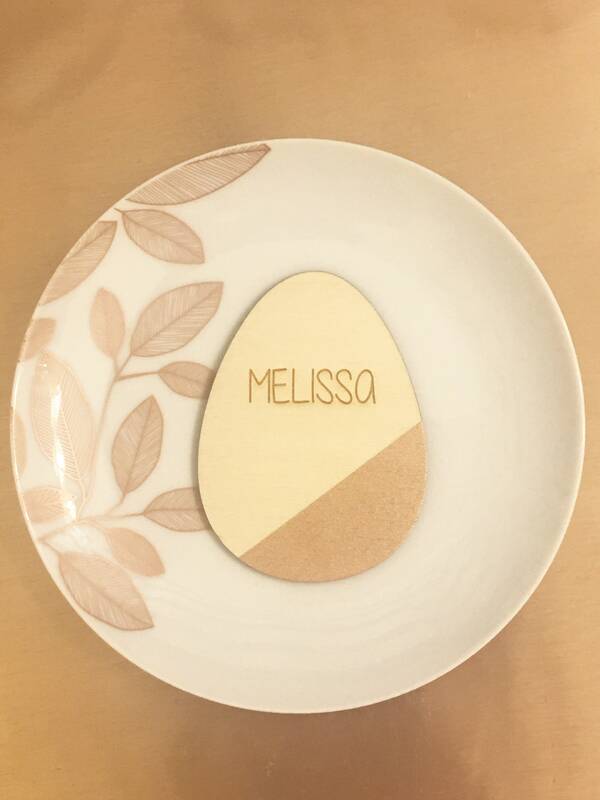 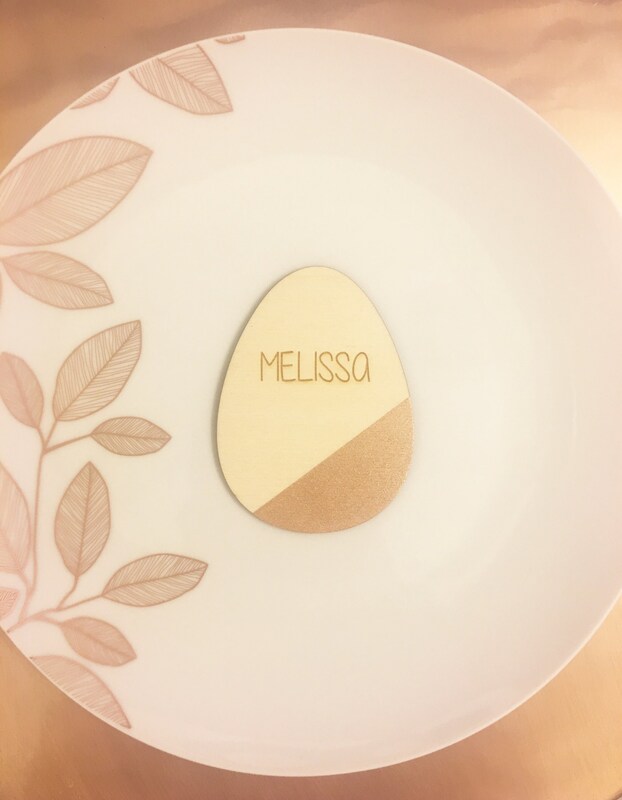 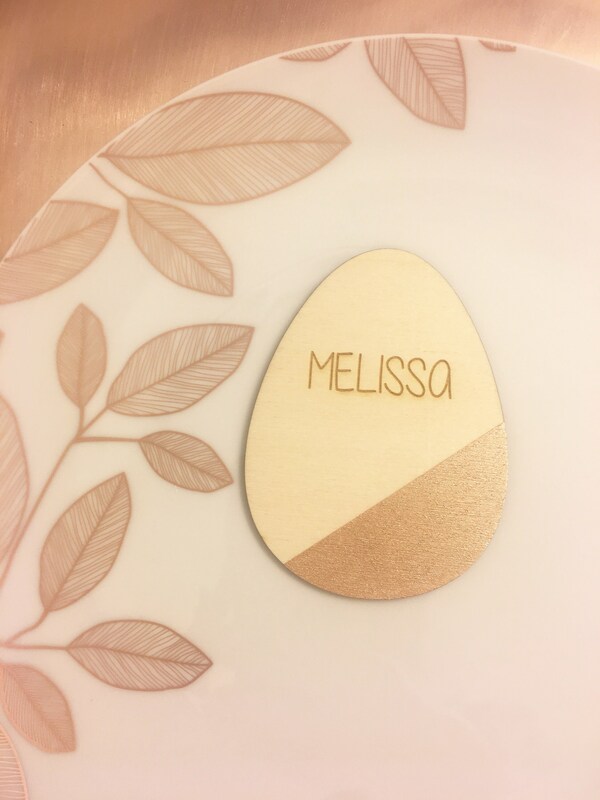 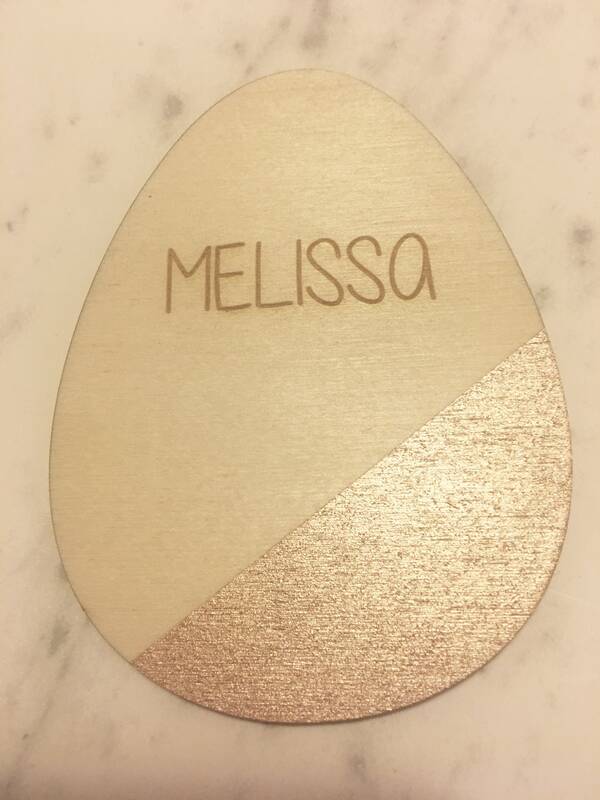 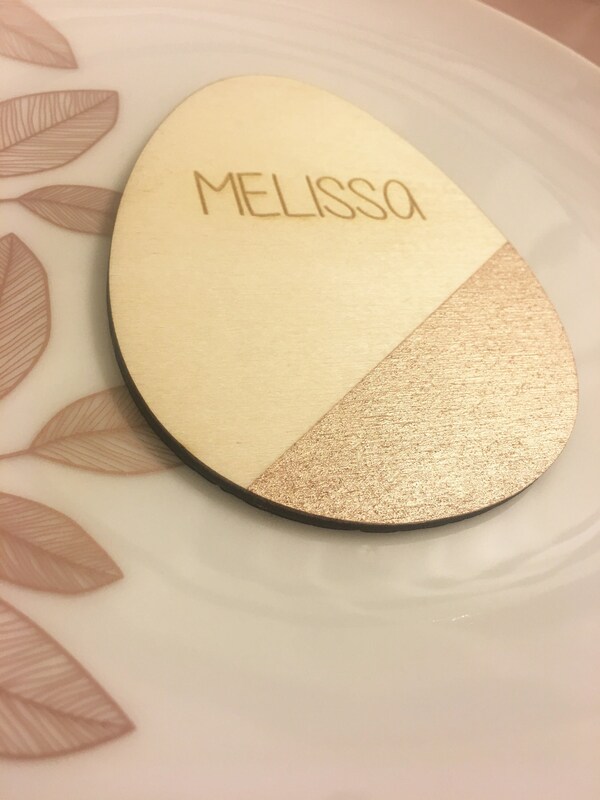 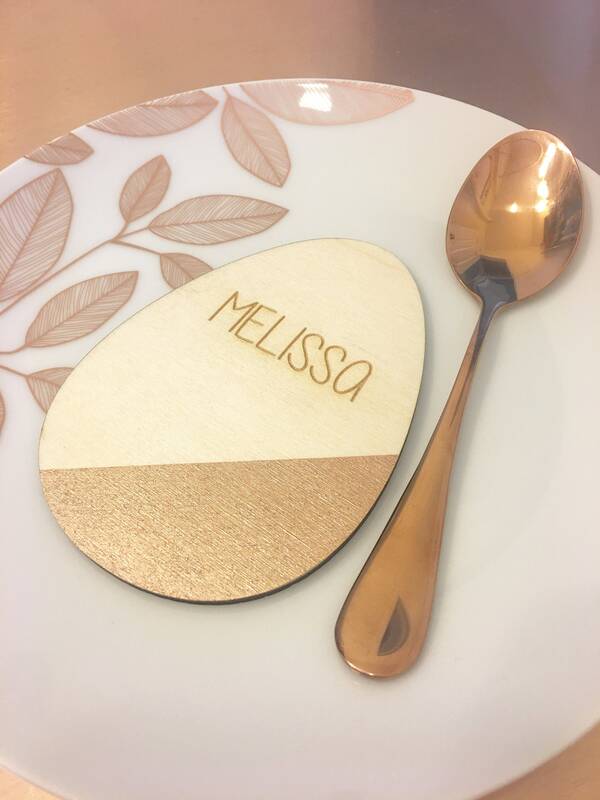 These custom cut and laser engraved birch wood egg place cards make the prettiest place cards and favors for dinner parties and events. 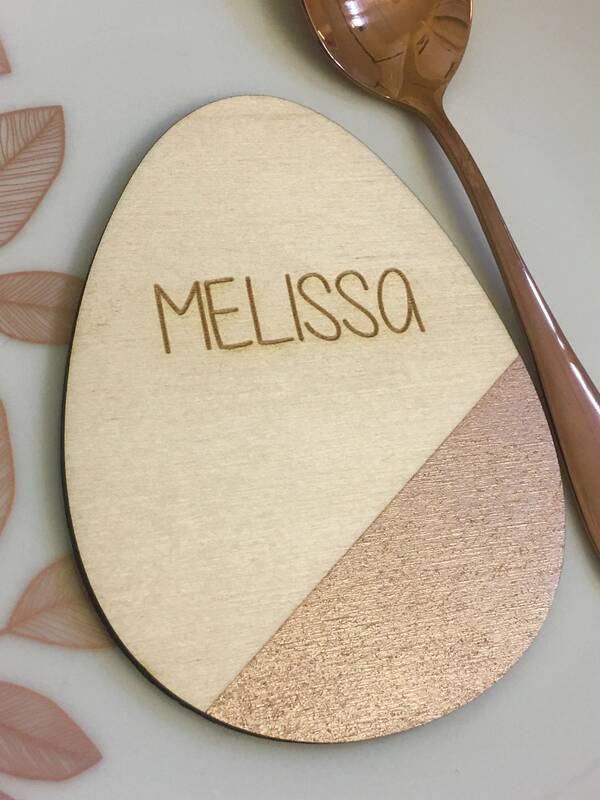 You have the option of leaving them all plain birch wood or with the rose gold detail that is pictured. 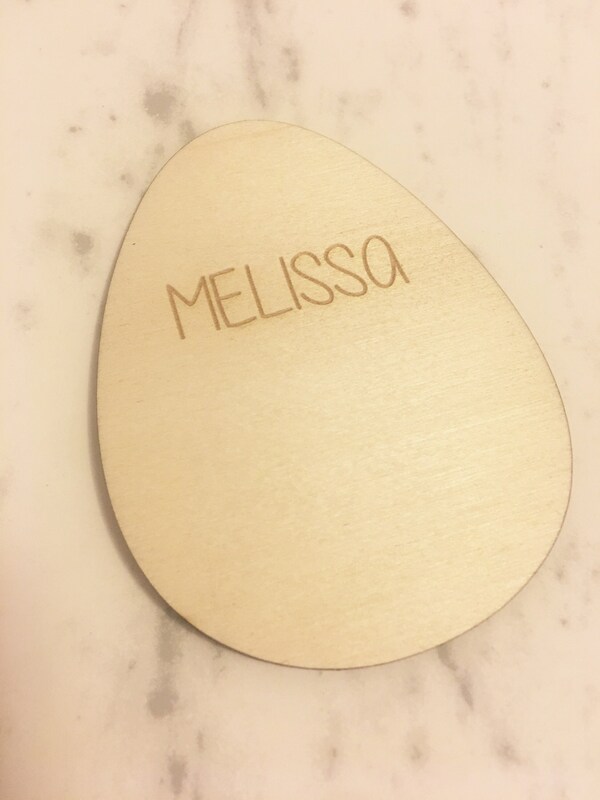 * 4" H, Top Width of Egg 2", Bottom Width of Egg 3"
3. 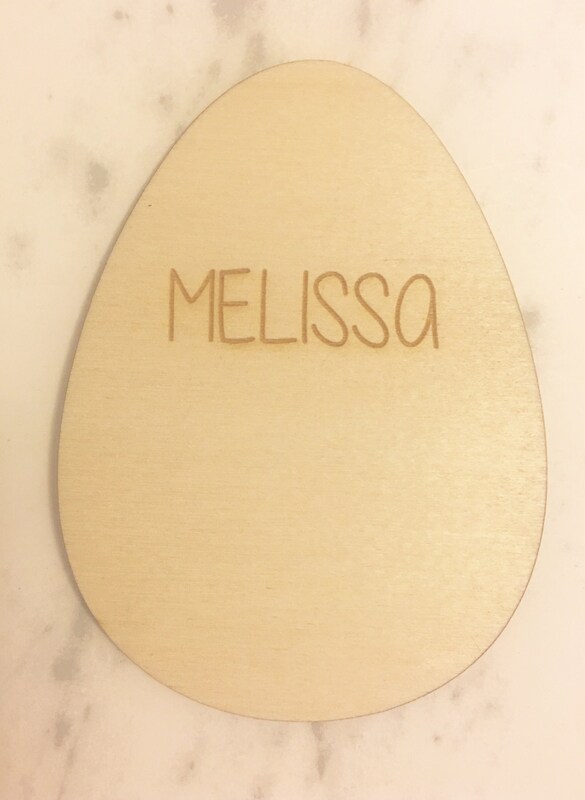 In notes at checkout indicate the name(s) for each place card and they will be laser cut engraved and finished exactly as pictured.